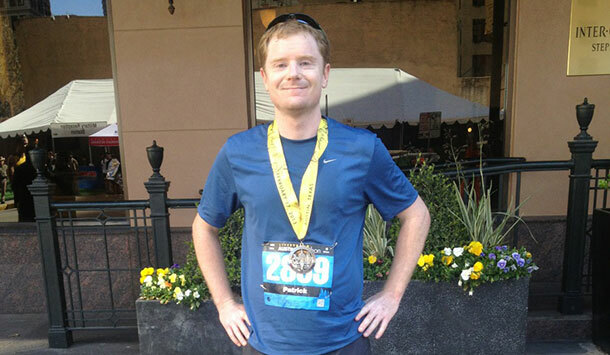 Congratulations to RVi’s own Patrick McGannon, who finished the Austin Marathon earlier this month with a time of 3:39:15. The 26.2 mile course winds through some of Austin’s most famous areas, including Lady Bird Lake, the Allandale & Hyde Park neighborhoods, the UT Campus, and the State Capitol. Patrick started training in September of last year for the marathon, completing several runs each week and progressively longer runs on the weekends. “The race was a great experience. I was fortunate to have perfect weather and my family there to support me,” Patrick said.